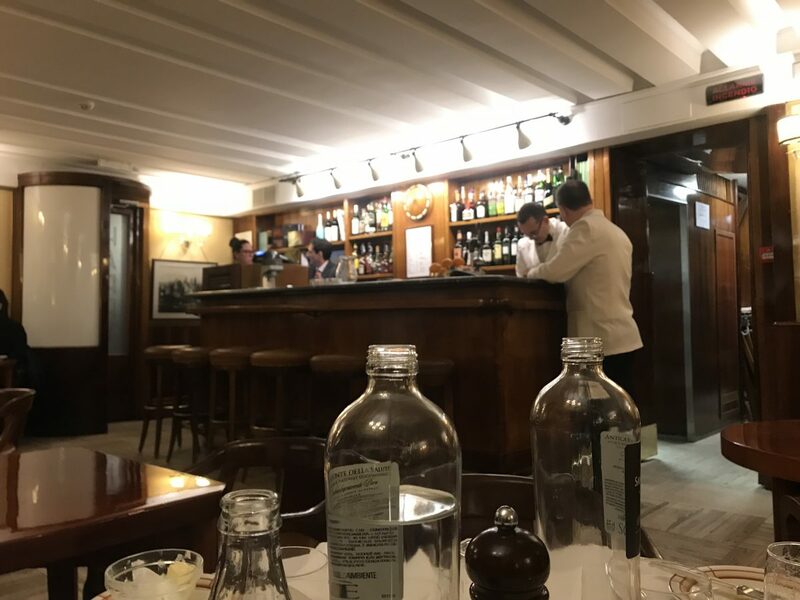 Harry’s Bar in Venice is most famous for two things; their Bellini cocktails and the astronomical prices of absolutely everything on the menu. 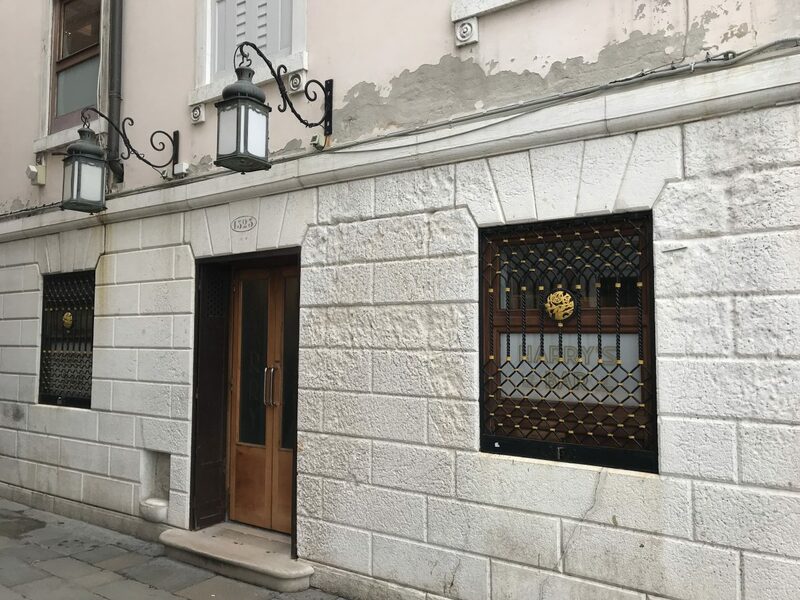 It is however something of a Venetian institution – in 2001 it was declared a national landmark by the Italian Ministry for Cultural Affairs. So, while in Venice for a few days we felt we had to give it a go. You can visit just for a drink (a comically small tumbler of that peach and Prosecco cocktail, although delicious, will set you back €18) or you can totally wipe your bank account and go for dinner. It’s not much to look at inside; lots of dark wood, a small bar, tightly packed tables and servers in white jackets. Ernest Hemmingway used to be a regular apparently. We spot a few tourists sipping and savouring Bellinis but it’s mostly wealthy locals and Ruthie Rogers off of the River Café in for dinner. So far, no regrets. 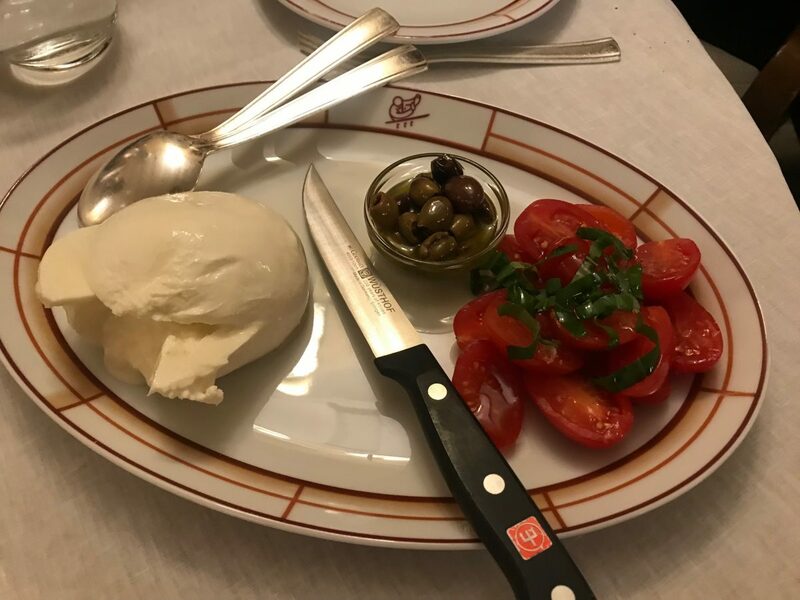 The four of us share a burrata to start (€34.40). “I would recommend two” says our waiter. We can’t afford it so decline. It’s a beautiful ball of cheese which, once cut open, gushes its never ending creamy contents. A small pile of perfectly ripe tomatoes are a solid companion. Although the calf’s kidneys with saffron risotto at €71 or the scampi cooked in a Josper Oven at €92 do sound appealing, we opt for pasta. 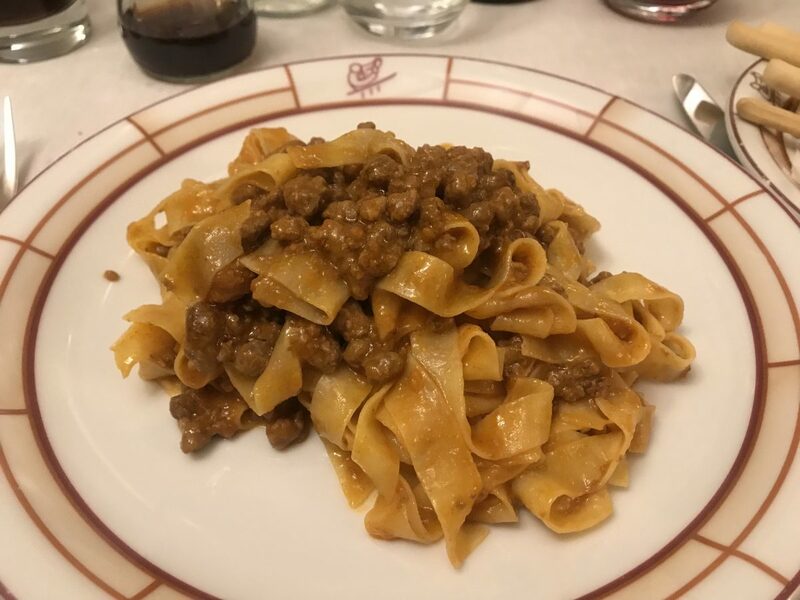 Tagliarelle with bolognese sauce (€53) is undoubtedly a mighty fine plate of pasta. The pasta ribbons are al dente, the sauce is rich and meaty and you get two servings of it as they hold some back at a separate serving table. But 53 sodding euros?! 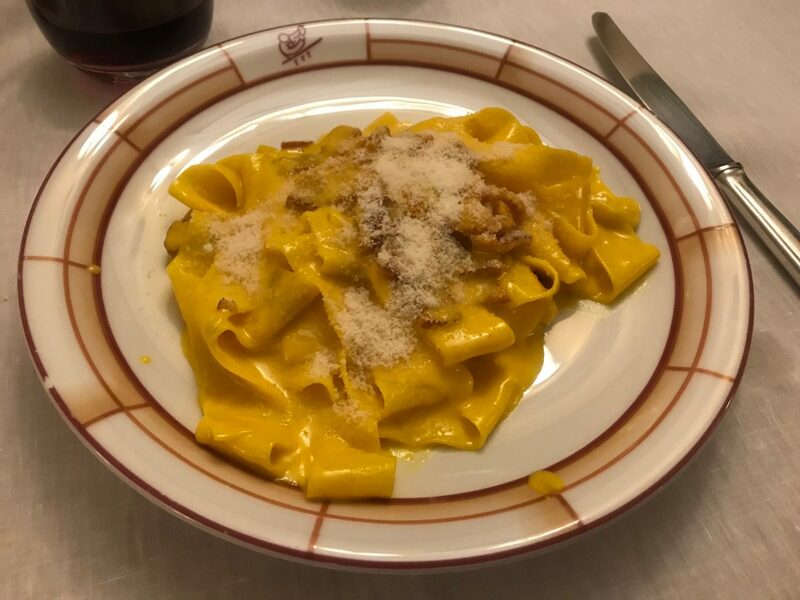 Pappardelle with saffron and bacon (€53) is heavily perfumed with saffron which is toned down by the salty strips of pig. It’s rich and creamy and as comforting as it gets. But 53 sodding euros?! 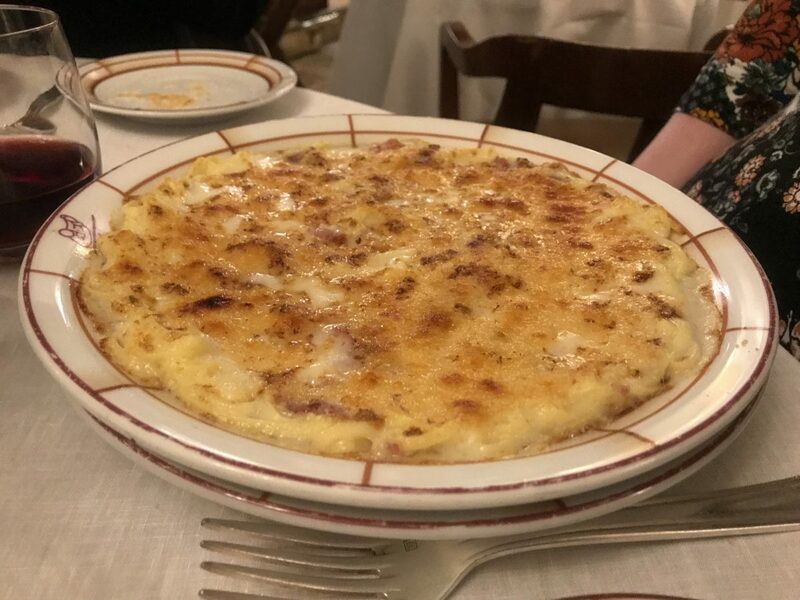 Baked white tagliolini with ham (€53) is another cuddle on a plate. This one doesn’t come in two portions which is a shame as it’s slighter smaller. It is big on flavour though and the baked-on crispy cheesy bits round the edge of the dish are lush. BUT 53 SODDING EUROS?! There’s no getting away from the ludicrous pricing at Harry’s Bar (we skip dessert as vanilla ice cream is €20). Strangely, the four us leave full, happy and in agreement that it was money well spent. For a slice of Venetian history, in a city where pretty much everything is expensive, I’m glad I went.